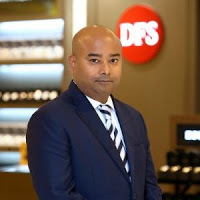 Sushanta Das graduated the MBA in International Luxury Brand Management program in 2011. Since then, he has achieved a successful global career working in Paris, Hong Kong and Abu Dhabi. He is currently the Director of Operations and Control at the DFS Group Limited in the Middle East. We had the chance to catch up with Sushanta and find out how the MBA program equipped him with the skills and competencies that he needed to achieve his current competitive position. Why did you decide to join the MBA in International Luxury Brand Management program at ESSEC? Having had an adequate background in retail in India, I was passionate to explore a global career within the luxury industry. I wanted to position myself as a credible professional with the right skill sets and understanding of luxury brands, consumers and markets. Thereafter, the answer was relatively simple – it had be the ESSEC Luxury MBA program. No other program could even remotely match up to what the ESSEC Luxury MBA offered. How did the skills you learned during your time at ESSEC prepare you for your career? Did any skills/experiences prove to be specifically valuable? Some of the key skills that I have learnt would be my innate understanding of the paradoxical nature of luxury brands, the importance of heritage and craftsmanship that defines the ethos of a luxury brand, etc. As the program had around 40 participants from 22 nationalities, it did expose me to working in varied multi-cultural groups and being able to effectively navigate and align people on different perspectives and opinions. I learnt from my colleagues’ varied experiences as much as I did from the professors. How did the career services at ESSEC contribute to your success in your career? The Career services at ESSEC is one of the key pillars of the program. The strong links that the program enjoys within the luxury industry become crystal clear when one gets exposed not only, to distinguished people within the top luxury brands / conglomerates but also, to ever helpful alumni who are steadily making a mark in the respective luxury companies that they work in. I have been able to nurture many a relationship across the industry and the genesis of everything, I must say, lies with the opportunities that the Career service cell initially provided within the MBA program. Pursuing the Luxury MBA at ESSEC has indeed been a life-changing decision for me. It has certainly acted as a positive catalyst and has equipped me to position myself appropriately on a global platform within the luxury industry. Just like any luxury brand, the Luxury MBA program at ESSEC has a rich history of imparting the right skills and aiding students to create a niche for themselves within the luxury domain. And more than anything else, the return-on-investment has been great. Joining the Luxury MBA program at ESSEC was probably amongst the top three decisions of my life!